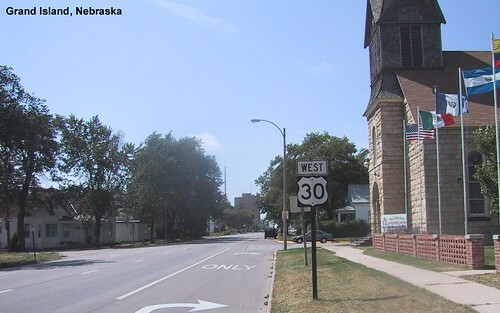 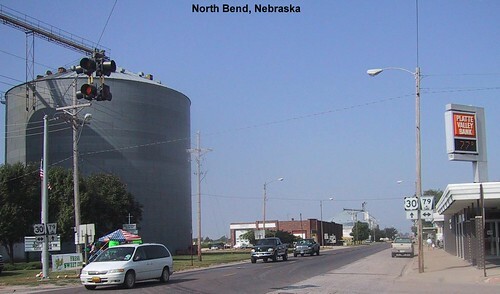 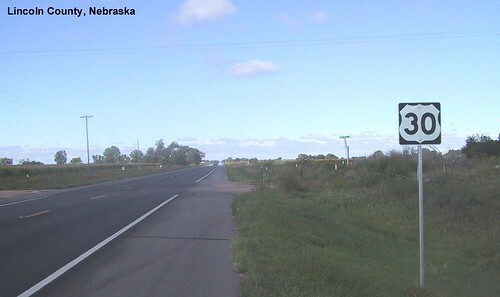 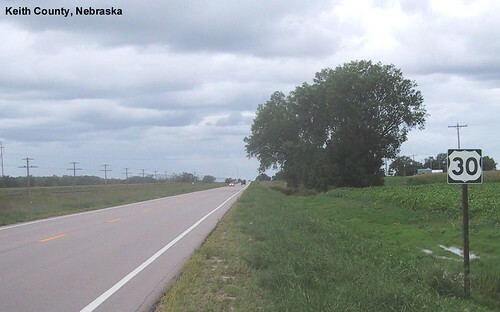 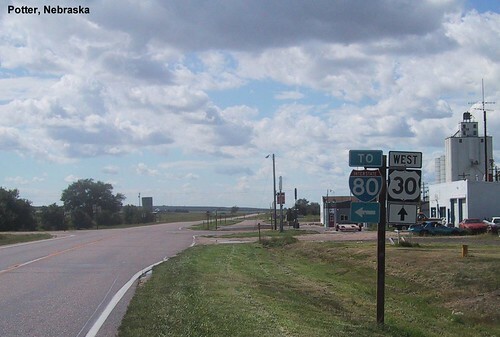 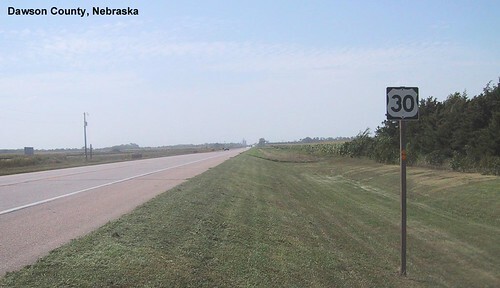 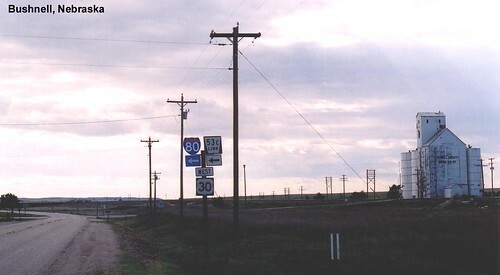 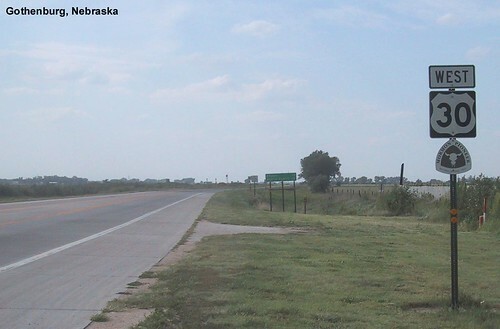 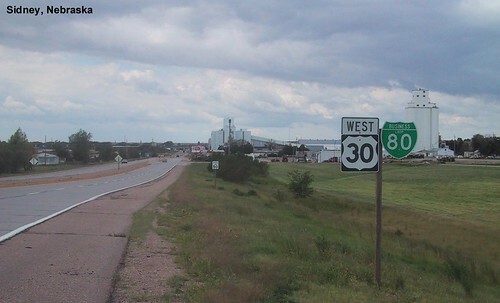 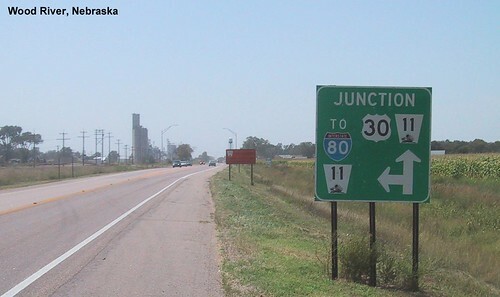 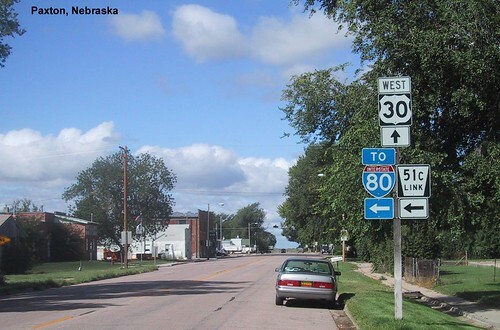 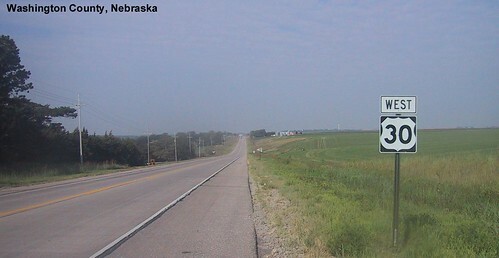 US 30 entering Nebraska after crossing the Missouri River. 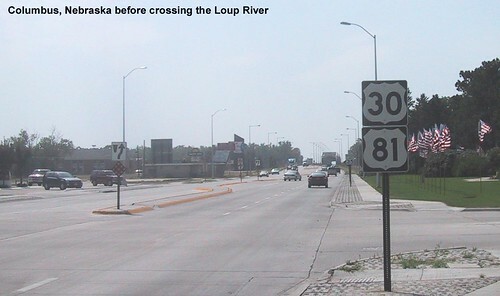 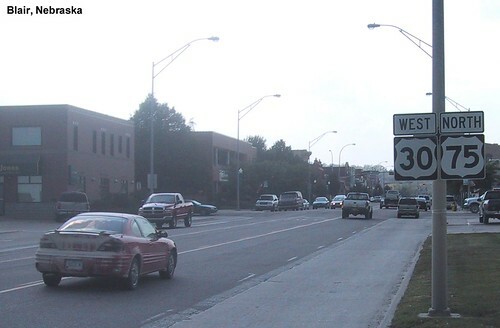 A Lincoln Highway marker in Grand Island. 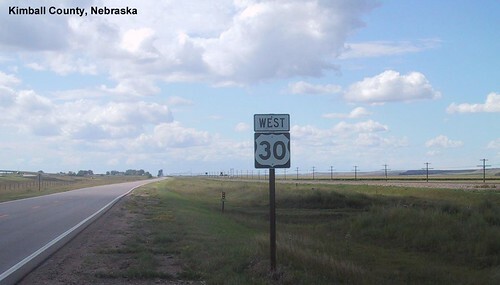 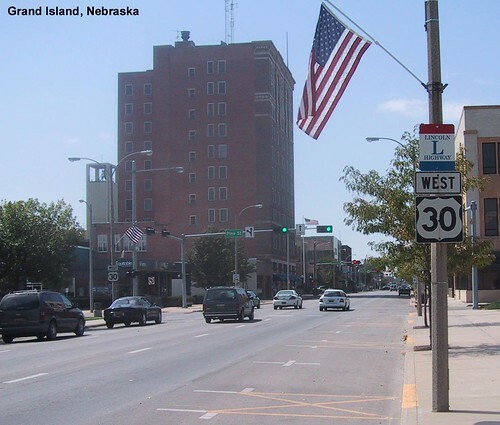 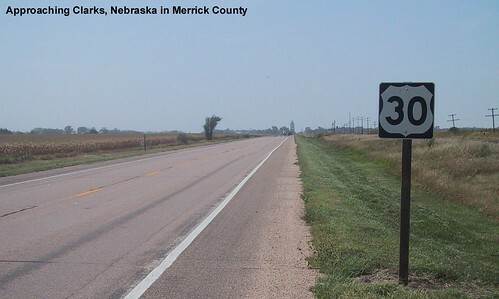 US 30 parallels I-80 across much of Nebraska so it no longer sees much through traffic.